An interesting and colourful salad made from fibre rich ingredients like apple, cauliflower and dates further well complemented with an orange dressing. 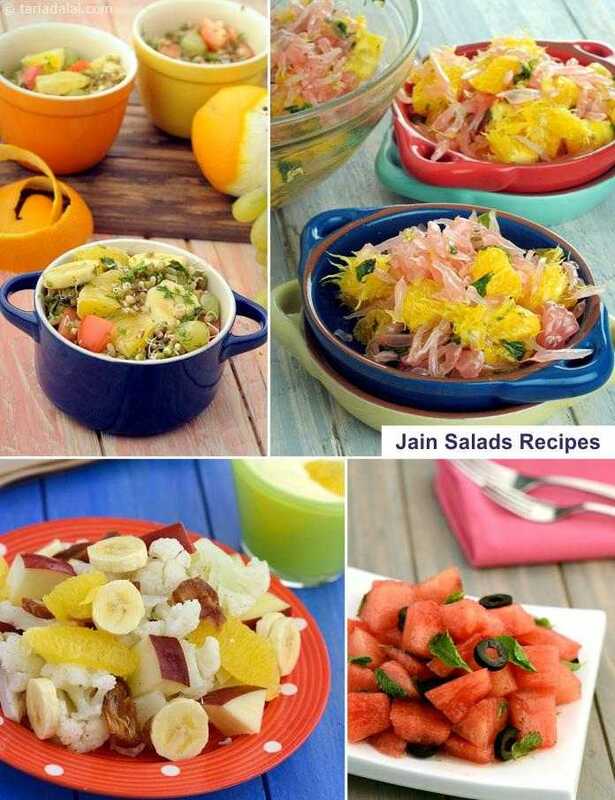 Cleanse your system with this fibre rich Fruity Vegetable Salad. A warm salad, rich in vitamins. Kakdi nu raitu is a raita recipe with kakdi or chopped cucumbers. A cool addition to any meal, kakdi nu raitu taste paired with biryani or pulao. A crunchy and healthful cabbage and paneer salad has finely chopped cabbage and diced paneer tossed together in a a lovely dressing.